Fintech has entered a new age in Indonesia, most ostensibly represented when the wild wild west of the peer-to-peer lending scene in Indonesia is finally regulated by the Otoritas Jasa Keuangan (OJK), the country’s financial services authority. Standing as a nation with 180 million unbanked individuals (or 66% of its population), Indonesia is moving towards financial inclusion at record speed. The same nation had the biggest account ownership increase in the region, growing from 20 percent in 2011 to 36 percent in 2014 to 49 percent in 2017. It also had a huge growth in savings behaviour of many other emerging countries, as usage of accounts for saving registers at 10% higher than the developing world average. Not only is Indonesia a rife market for fintech to set its roots and thrive, lately the Asia Pacific region is also showcasing that its people is ready for financial inclusion to take root; they understand its importance. Geared for the working class in the general Southeast Asia market, Akulaku call themselves an e-commerce platform with a specific focus on cardless installment shopping on products like car loans, bill payment, topups, travel and other leisure packages. 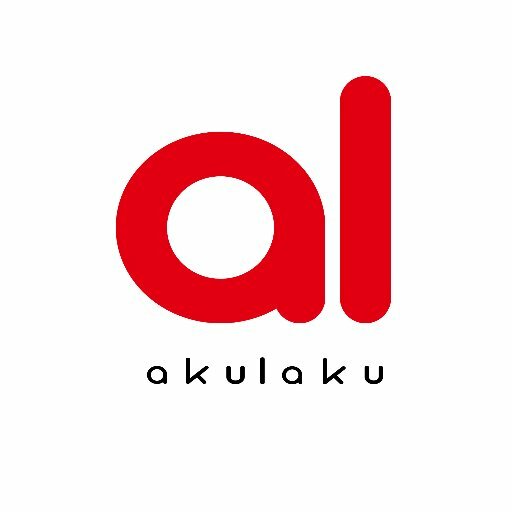 Akulaku is operational in Philippines, Vietnam, Malaysia, and Indonesia. Today it’s raised a disclosed total of US$220 million. Cashlez offers a mobile POS sales system, which allows SMEs and smaller vendors to accept card-based transactions (including Visa and Mastercard) on card readers which are connected to their smartphones via bluetooth. The system can also monitor sales transactions in real-time. It’s reportedly raised US$2 million, and now looks to distribute up to 5,000 of its mPOS systems by the end of 2019, partly by expanding to popular tourist cities including Bali, Lombok, Yogyakarta, Solo, Surabaya, Malang, Medan, and Bandung. Cermati is an e-commerce site that allows users to research and sign up for credit cards, insurance, and loans. And it announced in February that it raised a Series B round from a cigarette manufacturer owned by the Hartano family for an undisclosed sum. Cermati claims to bring in more than 5 million monthly visits. With the funding, Cermati is looking at expanding their product categories, like general insurance and micro loans provided by fintechs. C88 operates the comparison platform CekAja.com, a ccomparison platform that allows users to compare credit, insurance, savings, investments, and other consumer financial products. The portal also offers free consultation services through live chat, call center services, and related interactive media. Most recently, CekAja has also received OJK’s blessing to offer microloans. Jojonomic began its journey as a personal finance platform, but has since moved to create a cloud-based business suite that allows businesses to “intuitively” manage aspects of its business, like keep track of monthly expenses, disburse claims, manage procurement, and overall create a cashless ecosystem. Since the pivot, Jojonomic was recently able to secure an undisclosed amount of funding. The company will, in parts, use this funding to research machine learning capabilities. In 2016, Payfazz’ three co-founders started a fintech company that realised that the path to financial inclusion cannot be fully technological, as most Indonesians store their money as cash. Therefore, they deployed an army of offline agents as part of its fintech offering, allowing unbanked users to top up a mobile wallet through an agent, which then gives users access to paying online, like prepaid credit and electricity bills. Payfazz was the first Indonesian company to make it to Y Combinator accelerator, and its founders were also recently part of the 2019’s Forbes 30 Under 30. Pundi X aims to develop a point of sale (PoS) terminal network which would help people buy and sell cryptocurrencies over the counter. The company aims to launch the service in countries like Singapore, Indonesia, Africa, Brazil and India. They will also partner with cryptocurrency exchanges in realising their vision. Claiming to run Indonesia’s first robo-advisor, Ajaib is an online wealth management app that aims to help regular Indonesians grow their money, with low minimums and no account fees. And it just got the attention and funding from SoftBank Ventures, to the tune of US$2.1 million. To grow, the Ajaib team looks to gain virality through rewarded referrals. Ajaib is a summer of 2018 alum of Y Combinator. KoinWorks is a P2P lending online investment platform that utilises machine learning to connect investors with SME borrowers or individuals looking for financial help. Investors can invest from IDR 100,000 and borrowers can apply for loans with lower interest rates. The company has raised a total SG$22.5 million(approximately IDR 234.7 billion) of publicly disclosed funds, and aims to loan up to IDR 2.3 trillion this year. 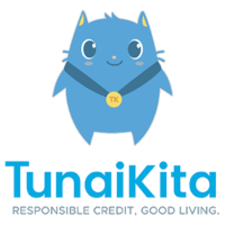 TunaiKita is one of the recent recipients of the OJK lending license. A joint venture between Wecash Southeast Asia, JAS Kapital, and Kresna Usaha Kreatif, the platform provides a peer-to-peer licensing framework to arrange unsecured loans between peer lenders and consumer borrowers, and combines first principles of finance, mobile technology, big data and machine learning for credit evaluation and loan application underwriting.